Flutura | Industrial IoT Solutions, IIoT Applications - Internet of Things Companies|How to get started on an Industrial IoT journey ? How to get started on an Industrial IoT journey ? Industrial Companies have heard about the Industrial IoT buzz and in many industries, they have also seen their peers taste the greatness of early success. As Industrial IoT-enabled innovation diffuses across the industrial sector, it is very useful to find out where it is in the adoption curve. Is Industrial IOT in the Early adopter stage (“Visionary”) or is it in Early Majority (“Pragmatists”) stage? We believe that Industrial IOT has crossed the chasm and is in the Early Majority stage where pragmatists have the technology. They certainly have an industrial problem they are trying to solve and even a business case aligned with senior leadership teams objectives. So the question is “How do companies in the “Pragmastist” stage get started on the Industrial IoT journey?” Flutura has experienced and validated a pattern where there are Three Distinct Milestones in the journey which I have outlined below. Example: A leading shipping company asked Flutura to look at Industrial IOT data streamed from Digitized Ships into hull management systems and identify monetization opportunities in the data. We conducted a two-day workshop with our engineers and with the clients cross functional executive team. When this exercise was conducted the clouds parted for the executive team and then they were able to understand the new world of Industrial IoT and how new business models could be created out of it. THIS WAS A LIGHT BULB MOMENT! On day two both teams went narrow and deep on one fuel efficiency use case and the business case directly related to this use case. This turned out to be a block buster hit in terms of solving a long pending problem they had. Today this use case is fully scaled. They also identified Three forward looking customers and invited them to give feedback on their overall approach. Once the hypothesis was iterated and refined across both the product and business model they were ready to scale out across Three industry segments and 20 countries. This is stage at which the Industrial IoT solution gets baked into the operational process and is in union with the daily operational habits. For example, a leading global manufacturer of Industrial Adhesives used in airplanes and other mission critical equipment did a 90-day pilot where sensor data was used to identify micro defect signals that had a massive impact on plant yield and associated efficiency dollars. Having tasted Industrial IOT success this Flutura client is rolling the solution out to 30 countries where the impact on yield outcome will deliver 18 million dollars in savings per year. That’s a significant squeeze out of inefficiencies only identified because of the Industrial IoT prognostics process they went through hand in hand with the Flutura team. 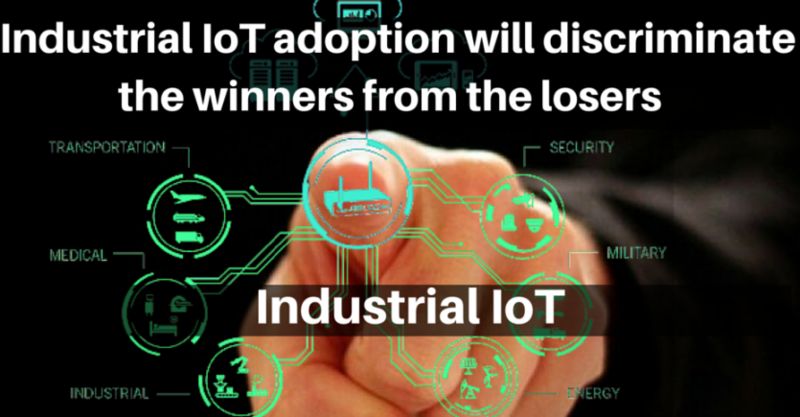 To summarize, Industrial IoT adoption is going to be a competitor weapon and it will discriminate the winners from the losers in the Industrial marketplace. It is clear that if manufactures, process industries and other OEM companies don’t start on their Industrial IOT journey, they risk being left behind. Therefore, a Two-day heavily-focused Industrial IoT workshop & a 90-day pilot are crucial building blocks to power this success.